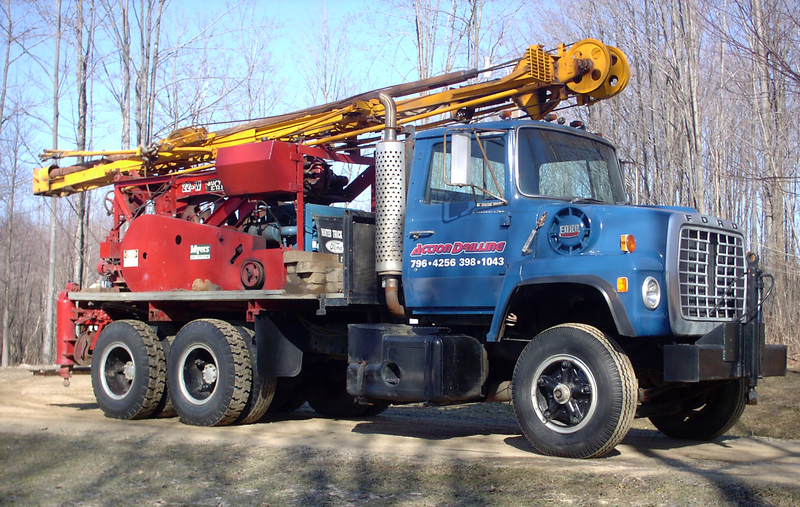 Water Well Rehab, or "Clean Outs"
If you are looking for a company that will inform, educate and lead you through the water well and pump process - Action Drilling, Inc. is the company for you. We like to take time to answer questions and to communicate the entire process. A well is something that a person generally needs only a few times in their life and it should last a life time if done properly. With over 25 years of experience, Action Drilling, Inc. has the expertise and know-how to setup and maintain your complete water system and do it right the first time. "Thank you very much for coming to our assistance so rapidly. We realize with schedules to meet it is very difficult to drop everything when someone calls with an emergency." "Thank you so much! We appreciate the way you CAME when you said you would and DID what you said you'd do! So often these days it seems impossible to get anybody to do anything "when and how" promised. Thanks again." "We both want you to know how much we really appreciate you coming out the other night to fix our well. You went above and beyond the call of duty. Thank you so very, very much for all you did for us." "Thanks so much for drilling our well A.S.A.P. We really do appreciate how fast you fit us in."